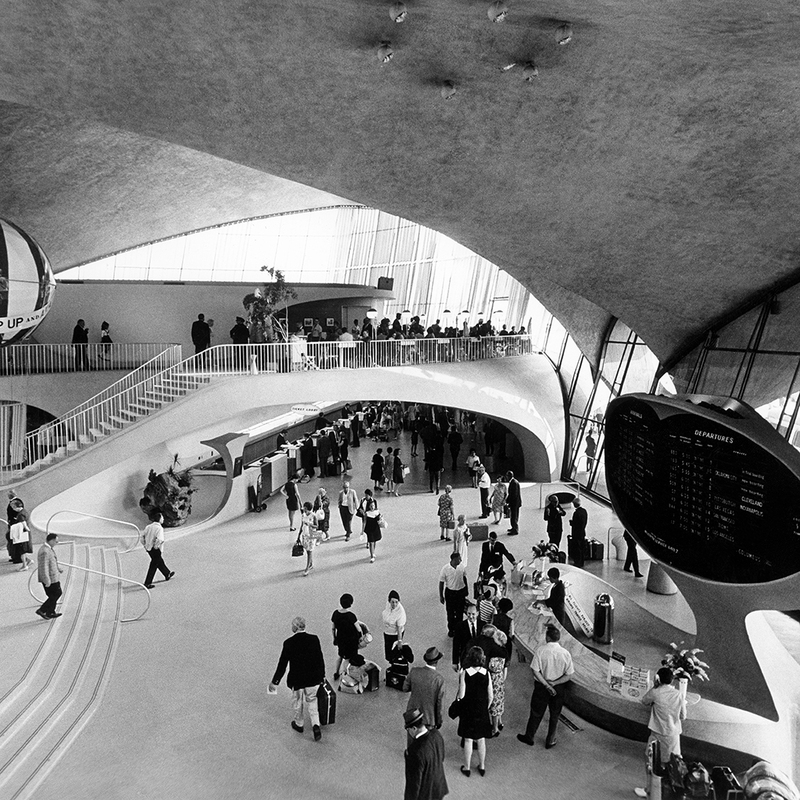 The TWA terminal in its glory days. If the departure of Mad Men from your television has left you yearning for that 1960s style vibe, a new arrival at John F. Kennedy Airport may be just the place for you. There'll be no need to live vicariously through Don Draper when the iconic TWA Terminal reopens as a swanky hotel. The plan to transform the vintage terminal was announced on Sept. 24th by Gov. Andrew Cuomo after a unanimous vote from Port Authority of New York and New Jersey commissioners. A rendering of what the new hotel will look like. Courtesy of MCR Development. After ushering in the jet age with its opening in 1962, the hub of the now defunct Trans World Airlines was closed in 2001 and has sat like a giant time capsule from an era when air travel was still glamorous. The building has since popped up occasionally appearing as a set piece in such films as 2002's Catch Me if You Can.